!! 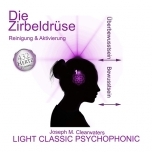 !Our CDs are produced and delivered exclusively in German language!!! 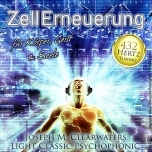 This music energy has been specially created for healing energy transfers. It supports every therapeutic application, but is also excellently suited for private applications. We recommend to handle the application (use) of the music in the way you would like it most personally. The music is suitable for any kind of energy transmission and affects not only people, but also animals, plants or even objects such as healing stones, water and much more. If, according to your knowledge, the receiver is ill with a specific part of the body, send the healing energy directed there. Imagine the details with closed eyes (visionalize - imaginary imagination) and send the energy further to your goal with the help of music energy in harmony with the power of your heart - in a loving and compassionate way. 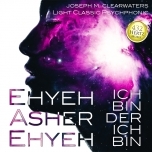 Test this energy of distance healing music and let your heart work. Take up the music energy in your heart chakra and send it from there to the receiver. Wrap yourself and the receiver in love energy - the music supports you of course - there is no stronger power in the universe than unconditional love. ► Diseases of all kinds in the physical body | Sleep problems | etc. - Imagine the recipient as being completely healthy, fit and full of energy, seeing inwardly and pictorially! Wrap his body in bright love light. A healing power & energy compensates all energy bodies, not only the physiques - a healthy person sleeps well and is internally calm and balanced. ► Mental pain of all kinds | psychological diseases | shocks - here, too, visionary imagination is the order of the day: Imagine the recipient completely happy, send him all your unconditional love. Here it is important that the recipient should not be happy according to your ideas of right or wrong, but that the recipient is and may simply be happy according to his own nature and not influenced by your personal ideas. This is often very important for people you know and you often unconsciously send your own idea/opinion of "happiness or being happy". This should be avoided, because your happiness is not necessarily the same for another person! ► Accompaniment to the end of life: Send the person (or animal) unconditional love with the help of music energy and stay neutral in heart and mind - try not to send any of your beliefs. Leave that to "All that is - infinite awareness. Just try to send light and love alone through music. 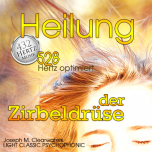 The 528 Hertz frequency has the ability to internally lead the door to the inner space of silence, to repair damaged DNA strands in our cells and to bring us into a harmonious balance here and now, in harmony with the "Being, the Divine". The basic tuning of the instrument was optimized from 432 Hertz to 528 Hertz. This means that the frequency of the sound was increased to 528 Hertz in order to achieve the optimal effect of the music. 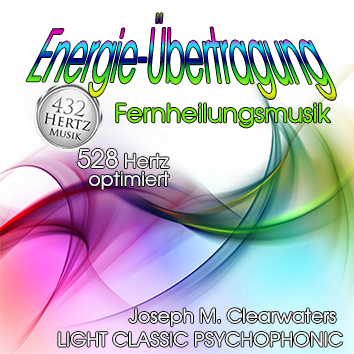 The 528 Hertz music is the "LIebessignal", one of the six frequencies at the core of the universe's creative frequencies, and is "randomly" the frequency at which scientists repair defective DNA strands. The term "miracle" seems to be very appropriate! 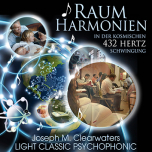 Space harmonies in the 432 heart vibration - the cosmic vibration! The perfect harmony! This music is a very intensive music with a strong effect.